So a week or two ago I pulled into the garage and noticed an empty Foodsaver vacuum sealer box chilling by the trash can. I couldn’t help but laugh. Everyone assumes I’m the kitchen gadget junkie but the gig is up, David, it’s you. Now… with that being said… sigh, I must admit that I do usually end up loving the items. We don’t buy that many, but the ones David (a thorough -or should I say over?- researcher) decides on are usually pretty sweet. And go figure, the vacuum sealer is no different. I wasn’t quite sure what I’d do with it at first, but now with a little playing around I’ve found some really neat uses! 1. Weekly Food Prep. It’s no secret that I love prepping food items before the week begins to make for an easier week of eating healthy. I love making things in bulk and freezing for later use, but often items get freezer burn within a couple of days. Now I can use the vacuum sealer to protect food and make it last so much longer. For example, I can make a ton of extra pancakes, flash freeze them on a baking sheet, then vacuum seal them in packs of 2-4 and use as needed with absolutely no freezer burn. Similarly, I can buy meat in bulk (which clearly we are into… we bought half a cow) and separate into usable portion sizes, vacuum seal and freeze for later use. Perfect for when chicken goes on super sale! 2. Cooking Sous Vide. This is the real reason David wanted it. We are loving experimenting with sous vide cooking and it was getting a bit difficult to keep using water displacement to try and seal our food. So now it’s simple to vacuum seal meat, corn, etc with seasonings and marinade to create flavor-packed meals. Don’t mind my rogue butter… I’m still learning. 3. Long Term Food Storage. I want to venture into learning more about dry canning using a vacuum attachment for jars and such, right now I am loving it for easily storing soups, stews, chili and broths. Simply freeze the liquid, then transfer to a vacuum seal bag, seal and label. I can’t wait to stock my freezer with homemade options for the fall and winter. 4. Saving an Avocado. Man, avocados are tricky. They don’t save well thanks to the rapid oxidation that happens when the green flesh meets the air. Because of this, I often use an entire avocado in one sitting, but the vacuum sealer allows me to keep it cut, yet freshly green and in the fridge for a lot longer! Simply keep the pit in the half you want to store, vacuum seal it, then store in fridge until you need it. 5. Bananas (or other fruit) for Smoothies. I know I can’t be the only one that freezes bananas, then tosses them in smoothies anyway. With the vacuum sealer, you can cut and freeze the slices on a baking pan, then vacuum seal them. They will stay fresh for months without freezer burn! *BONUS* Re-sealing chip or cracker bags. You don’t want to use the vacuum function on these because you will crush the chips, but you can just use the seal button and eliminate the need for chip clips! 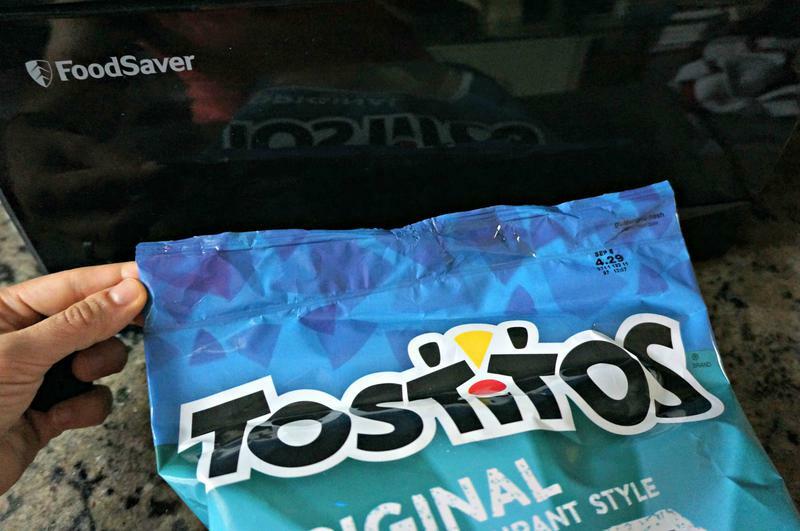 It keeps all the air out of the bag, keeping your chips fresher for much longer. Be warned, this gets rid of the excuse for eating a whole bag in one sitting (wink!). 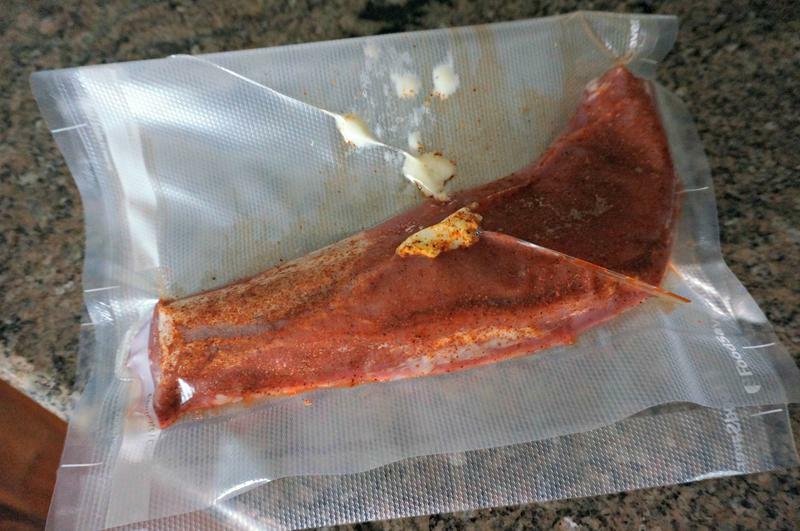 Do you know of any other uses for a vacuum sealer that you love? Read more about my favorite gadgets and food tricks here! I just LOVE my vacuum sealer, I’ve gone thru 2 in 4 years I use it so much. I buy all our meat and some veggies in bulk and love processing them (sorting out usable amounts and vacuum seal) then throwing them in the freezer. 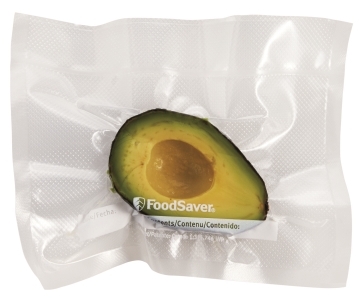 if I had to save something from my kitchen if it were to be burned down, it might be the foodsaver. I have never used a vacuum sealer before, but it looks cool! My favorite kitchen appliance is my Ninja. I seriously use it at least once a day! I feel like I need to get one of these! Can you reuse those food saver bags? I also love kitchen appliances so always nice to hear of new products. I can reuse them if I’m storing dry goods, but if there is moisture I don’t reuse. We have the roll of bag material, so you can custom fit each bag to your need, which is helpful for less waste! I heard a little rumor u can buy quart freezer bags from dollar store remove zippet part and seal away. What?! I definitely need to try that. Thanks!! 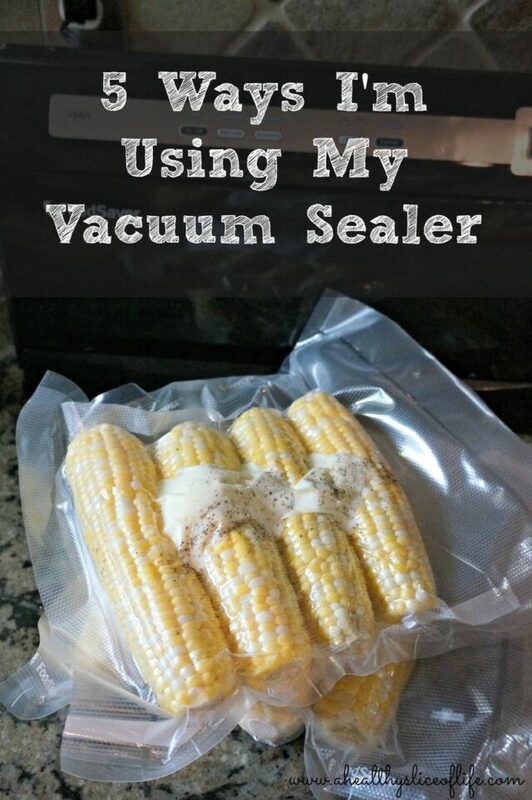 I have been using all kinds of vacuum sealers for over 30+ years. My two cents on saving bags… To save on bags I buy cheap/bulk Ziploc bags of different size to put the wet food in, freeze for a few hours or a day and then vacuum seal “the bag” inside the vacuum seal bags. I also use the cheapest sandwich bags for saving items that need to be separate or for easier removal when still frozen and you just want to get one item from the bag (ex. when saving a few pieces of sweet potato). This way, you do just one big/long bag that you can reseal instead of having 8 different little bags holding just one piece each all over the freezer. I do this with meat too; 5 chicken legs per Ziploc bag x 5 filled bags in one vacuum seal bag. Opening and resealing the bags takes out only about an 1 inch instead of having small bags not able to hold more than a handful because they became too small. Clean up it’s easy since Bulk Ziploc bags are cheap and vacuum seal bags can be reuse, saving a bunch. This is so helpful- thank you Jo!! just got mine, loooove it. Thanks for the hints on saving bags. Hah I literally JUST learned about Sous Vide cooking this afternoon! (Maybe I’m slow haha but I guess that’s more of a meat eater thing!) I love the idea of being able to save avocados! I have ALWAYS seen these on T.V for sweaters and I have always wondered if they actually work! These look so cool, I would love to use them to save food. Now I need a vacuum sealer. Which food saver do you have? I actually really like the idea of preparing healthy food in bulk, then vacuum sealing them to put in the freezer for later! I’ve been trying to improve my eating habits lately, so that could actually really work well for me! Getting a vacuum sealer is something I’ve been thinking of doing anyway, so that gives me the perfect reason to finally go out and buy one! I have a no-frills FoodSaver that I’ve used regularly for several years now. I love it! While we do occasionally use it for frozen foods, its primary purpose is repackaging dry goods. We recently used 3-year-old ground coffee, pasta, and rice, and it was all as good as the day we vacuum-sealed it. 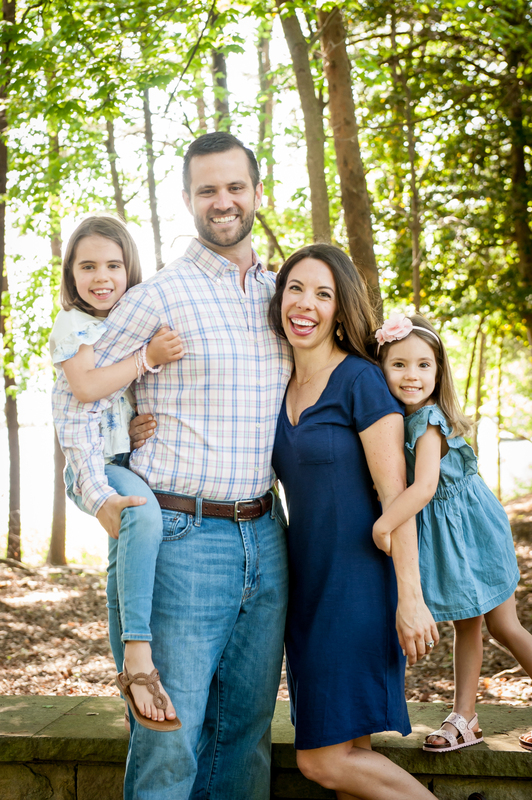 I realize this blog is 3 yrs old but I just found it. I love my FoodSaver! Just a tip if you haven’t tried it before now, you can also freeze your avocados. Buy them on sale, cut them in half & freeze. They work beautifully in guac, dips and dressings. Not sure on the texture to just eat by themselves after thawing because I don’t eat them that way but it’s definitely a money saver!